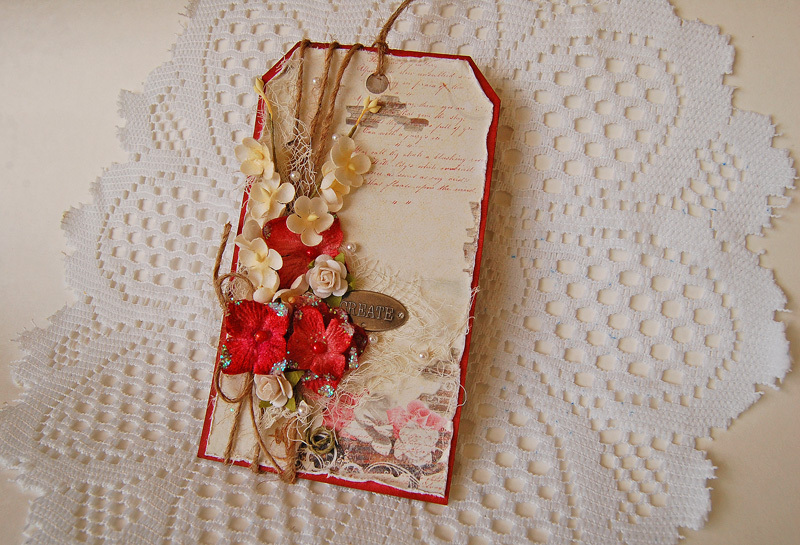 I adhered the red paper to the chipboard tag with the Dual Tip Glue Pen. 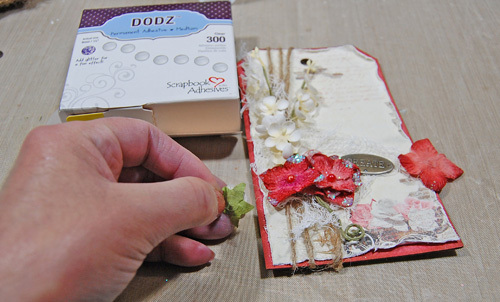 The ivory paper was adhered using the E-Z Runner® Permanent Stripes. For the layers, I added jute and cheesecloth. 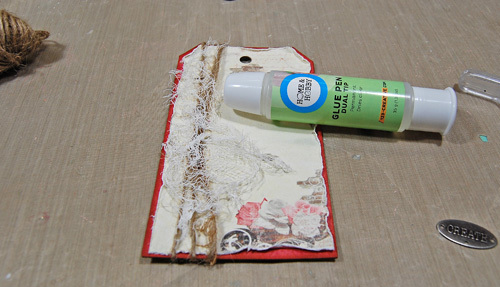 I adhered both with the Dual Tip Glue Pen – it’s great for adhering fabric. 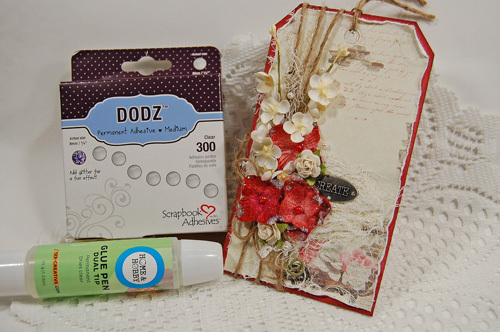 Next, I adhered different flowers with the Dodz Adhesive Dots Medium. 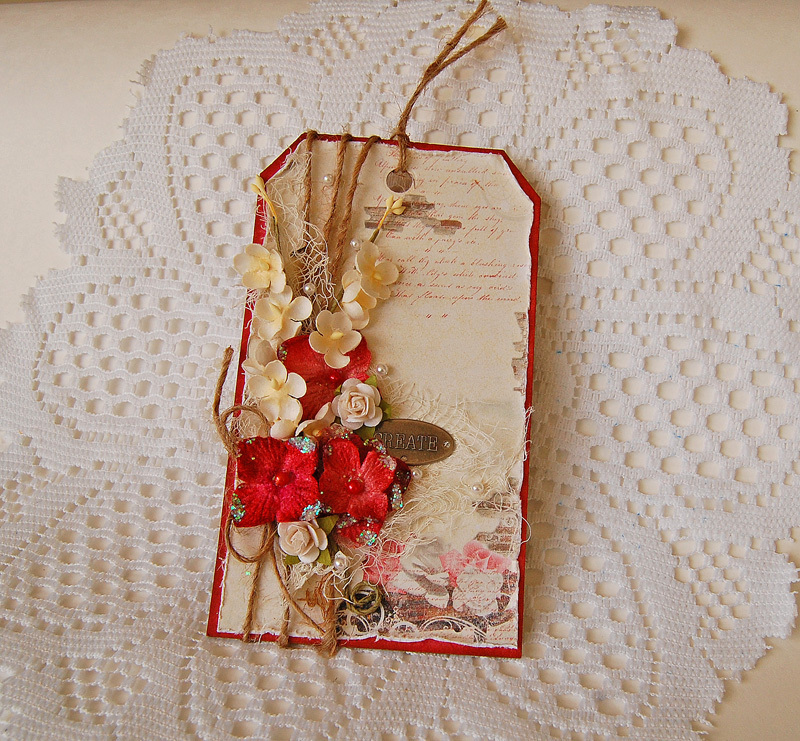 For the finishing touch, I put a metallic tag as my title which I adhered with the Dual Tip Glue Pen. Summer Layout and Video Tutorial!